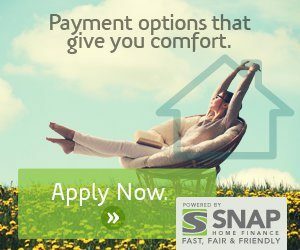 If you would like to be approved for financing online simply click on the picture and you will be redirected to the application. With the best high efficiency furnaces and air conditioners available from AirZone, you can easily offset some if not all of your financing payment with energy savings! This is one of the major benefits to financing a new product because your monthly expenditures may not increase substantially even with an additional HVAC payment. Furnaces start at ONLY $39.99 per month! ACs from only $29.99! Our Financing and Rental programs allow for low monthly affordable payments. And don’t worry – If you sell your home the monthly cost can be easily transferred over to the new homeowner! Financing allows us to put the right product in your home with a low payment – Often without any interest charges for the start of the term! Also, if you have poor credit, our programs can even help you rebuild your rating! We work with quality credit partners to offer you low rates regardless of credit rating! There’s no need to put off a more energy efficient comfort system. We make it simple – start saving money now by clicking on the Apply Online Picture. Financing is available for most furnaces, water heaters, air conditioners, and other HVAC equipment. Also, if there is a rebate on your equipment purchase, you could actually get a cheque to help offset your payments for a few months.